This is a guest post written by Ken Brooks, Chief Content Officer of Wiley Knowledge & Learning. Connect with Ken on LinkedIn and visit the Wiley website to learn more. Like most organizations, you have a long-term goal that you strive to achieve by undertaking and (hopefully) completing a number of initiatives. Those endeavors turn into programs and projects managed through different departments and leaders. Often, achieving your goal means going from A to Z by doing 1, 2, and 3 (and 4, and 5, and so on). But as we all know, it’s rarely that simple — not only because executing the projects and programs that comprise the overall strategy takes time, but because those initiatives are often interdependent. One can’t be started, completed, or implemented without another. And of course, none of it can occur without capital. This is where capital allocation comes into play. It’s more than just deciding what and how many resources to give one project or program. It’s about funding the projects and programs that will help you achieve the greatest value in the most efficient manner possible — all in a way that generates the most immediate, measurable, and meaningful value for your business. This might seem overwhelming, particularly for project and program managers who are responsible for one or more slices of a business goal — not everything. That’s a fair reaction, as ensuring business value is a high-level focus that rests on the shoulders of the C-suite. But executives’ responsibilities can exist even above this, in the realm of long-term organizational strategy or in tasks that remove them from the progress of project and program managers. So when capital must be allocated in a way that puts projects and programs in a strategic position to succeed quickly and effectively, what is an organization to do? Keep in mind, capital allocation is not just about providing resources to get work done, but about helping an organization achieve value in a way that also satisfies an objective or goal. It all begins with a critical role that stands at the top of the project management column in your organization. Alignment is key here. Without it, resources assigned to separate initiatives may result in redundancies or clashing end-states…or conflict with existing priorities and budgets. When this happens, there’s no value delivery. Only more work to be done and costs to incur in solving what could’ve been avoided through alignment. Thus, the portfolio manager is responsible for allocating capital in a way that keeps priorities and initiatives aligned toward the goal. It’s more than just choosing what capital to invest where. It’s about funding programs and projects in a complementary, strategic way. What capital will it take to bring Program A to a position where Program B and its projects can begin, if they can’t begin simultaneously? If Program C is lagging due to some unforeseeable setback, can resources from Program A be re-allocated to push it along (and how will it impact Program B if both are required for Program C)? This is a simple illustration, but you see how this can quickly spiral out of control — derailing not only individual projects but also entire programs and potentially the portfolio itself. Thankfully, a trained, experienced portfolio manager will navigate these challenges efficiently, keeping all the projects and programs not only in alignment with their workloads, but also with the capital being used to fund them. However, it’s not always beneficial to an organization to a) burden a lone portfolio manager with this high-level fiscal responsibility (it may even be out of the portfolio manager’s control anyway) and b) allow such significant financial decisions to rest with a single person. This is where investment review boards come into play. An investment review board (IRB) is exactly what it sounds like: a decision-making body within an organization that’s dedicated to reviewing where resources are spent to ensure they’re in alignment with organizational goals. While IRBs exist in numerous industries, especially government, they’re particularly useful to organizations undergoing change at a portfolio or program level. Note that investment can mean many things, but we’re using the term in the sense of capital allocation — how resources are allotted to the different components of a portfolio and the subsequent programs and projects that comprise it. An example IRB for a manufacturing organization might include the portfolio manager along with leaders from supply chain or purchasing, finance, and other involved departments. It may also include an executive or officer responsible for the initiative and perhaps the program manager(s) working with the portfolio manager. Together, they would review where resources should be allocated and for what purpose. But there’s another aspect to this that many organizations miss that we’ve touched on: aligning resources with the purpose of creating and measuring business value. This requires something on another level. This is where a CIC shines. Allocating capital where it will be the most strategically useful and advantageous is important, but doing so in a way that leads to business value on an ongoing basis (even beyond a project or program’s implementation) is just as important. A CIC is a component of program value management (PVM) — a discipline that connects and considers portfolio management (and its subordinate disciplines), change management, and more — all with the ultimate goal of delivering consistent business value. So what does a CIC actually do? CICs focus on seeking cross-functional alignment, prioritizing initiatives, removing barriers, assigning talent, and adjusting operating budgets — all while providing the support, authority, alignment, direction, and funding that an organization and its portfolio, program, and project management professionals need to achieve the overall goal. Note the emphasis on funding and operating budgets; without these, not much is going to happen. This is why capital allocation should exist at the portfolio level: so that from the beginning, at the highest order, and in the most strategic method, capital can be allocated where it will deliver the greatest value and achieve the goal in the best way possible. The CIC is the governing body for this, as the portfolio manager who retains the ultimate responsibility of keeping all parties aligned will have the right people together at the right time focusing on the right priorities. Consider Tetris. You stack and align the different pieces so that they cancel one another out, preventing them from reaching the top and ending the game (all with a time limit, naturally). Capital allocation is the opposite — the intent is to put the pieces (each consisting of investment, revenue, and cost — i.e., value) where they need to be: not so they cancel out, but so they function together and collectively build up to what is not the end, but the finish line, leaving no gaps between. It’s harmony in pursuit of purpose and value. Capital allocation is one of the most significant drivers of value creation. It is the fuel of an organization’s efforts to move toward and eventually achieve success. 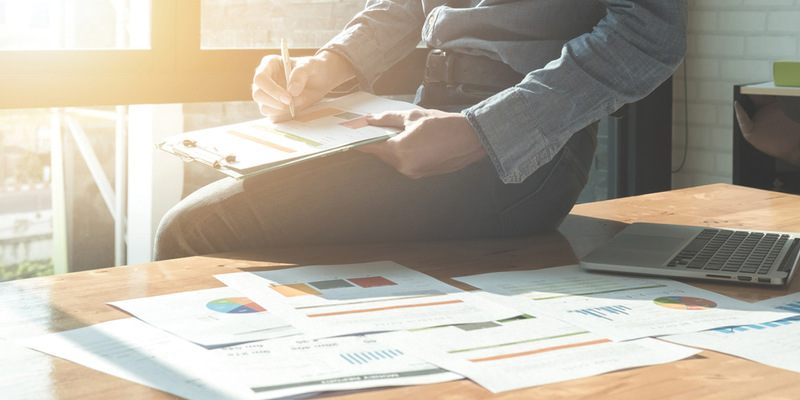 If your organization is struggling with completing initiatives in a timely, efficient, and cost-effective manner, it may be time to consider your capital allocation methodology. Learn more here.